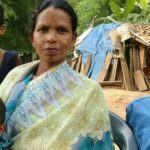 Islamic extremists in India attacked a Christian prayer meeting in West Bengal state, beating a 65-year-old widow and other women less than a month after they helped drive a young woman out of her home and village for her faith. Islamists in Nutangram, Murshidabad district forced their way into the home of Gaffar Shaike on March 30 at around 2 p.m., as 11 Christians from Believers’ Church were gathered for lunch and worship. In the same area of Nutangram on March 9, Islamic extremists drove 22-year-old Rekha Khatoon out of her village because she dared to give thanks for healing in Christ’s name in the predominantly Muslim village; her parents helped the Islamists to beat her nearly unconscious. 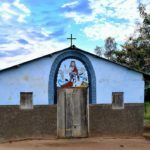 Initially seven extremists led by Mohammed Aanu Shaike stormed into the home of Gaffar Shaike and ordered the Christians to stop the meeting, said Pastor Bashir Pal, founder and pastor of the village Believer’s Church. Gaffar Shaike said the extremists called them pagans as they kicked, slapped and pushed the Christians, adding that they reprimanded him and his wife for dismissing several warnings from them to stop leading prayer meetings in their house. A year ago, the extremists had burned Shaike’s crops for his faith in Christ, he said. 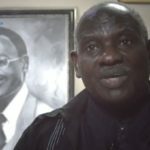 “I asked the radicals why they barged into my house and why they were not allowing us to pray in my own home,” Shaike said, adding that the extremists were so blinded by fury that they only continued beating them, calling them pagans and threatening to continue doing so until they returned to Islam. “We want freedom to worship Jesus in our home,” he said. 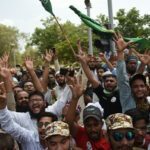 As the extremists mocked and otherwise verbally abused the Christians, a mob of about 100 Islamists gathered and charged into the house entryway, which is 72 feet long and eight feet wide, shouting anti-Christian slogans and threatening to murder them as they pushed, kicked and slapped them. When the Christians tried to flee, the extremists blocked their way. 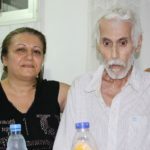 The son of Muslim extremist Ahammed Shaike, Mohammed Kuran, beat 65-year-old widow Moyazan Bewa, Christians present said. While Ahammed Shaike’s wife was called in from the front porch to beat a Christian woman at the meeting named Selina Bibi, Mohammed Aanu Shaike beat Gaffar Shaike’ wife, Aimazan Bibi, kicking her head and stomach and leaving a deep cut on her hand, they said. Other Christians present received minor injuries. Two Christian children present at the meeting were crying in fear, the Christians said. The Christians somehow made their way out and scattered, but Mohammed Aanu Shaike, brandishing a sickle, chased many of them, “hurling all kinds of insults and attempting to murder them all, but God saved the Christians at that moment,” said Pastor Pal. By then about 500 Muslims had gathered and were watching in amusement as the extremists chased and harassed the Christians for about 90 minutes, the pastor said. “The Christians were running in all directions for their lives, including the children who were crying in fear, but the [adult Christians] were stopped at every corner by the radicals who thrashed, bashed and verbally abused them,” Pastor Pal said; no children were attacked. Aimazan Bibi said spectators took up many positions. Pastor Pal added that at one point the extremists had trapped many from the Christian group. “The Christians were cornered at one place, where they all stood petrified in fear, but somehow the almighty God saved them,” he said. “We pleaded with the radicals to let us go, and eventually they freed us while they were still shouting at us to leave Jesus or face more sufferings,” said one of the trapped Christians, Moyazan Bibi. The Christians fled to the outskirts of the village about two kilometers away and took refuge in the home of one of the participants in the prayer meeting, Nasima Bibi, meeting police en route and informing them of the attack. Area Christian leaders also informed the station officer of Nutangram Thana, who immediately sent police force to the site. Assuring her that they would take action against the assailants, police took the 65-year-old widow to her home, where a furious mob of Islamic extremists had gathered, said the pastor. Officers warned the Islamic extremists not to disturb the Christians again, but they continued to taunt and mock them, he said, treating them as criminals. “The extremists were always passing insulting remarks against them even while they were simply walking on the road,” Pastor Pal said. On April 5, Mohammed Aanu Shaike threatened to kill Aimazan Bibi after he found her talking to a Muslim woman on the street, he said. “Some extremists soon gathered, and they were calling her pagan and they threatened to murder her if they ever find her talking to any Muslim again,” the pastor said. The Muslims have since ostracized the Christians, prohibiting them to buy and sell in the area and keeping them from using the public bathroom and water well, he said. The extremists have sternly told all shopkeepers not to sell anything to the Christians, and at press time they were all complying with the order. The Christians filed a police complaint against the assailants, but no arrests have been made. Some of the victims have been attacked earlier. Last year Selina Bibi was beaten for her faith and, as the Muslims assumed she would have some mark on her body indicating her faith, they stripped her naked to search for one. They beat her in spite of finding no mark.